A my is a veterinarian with a particular interest in viral zoonoses that emerge from wildlife reservoirs. 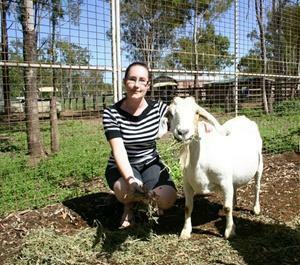 After graduating from veterinary science from the University of Queensland, Amy worked for two years as a district veterinarian with Biosecurity Queensland in Rockhampton. Here, she was involved in an outbreak response to Hendra virus where she became interested in bat-borne zoonoses. Following this interest, she undertook a PhD at the Australian Animal Health Laboratory in Geelong to study temporal and host-related factors associated with paramyxovirus excretion from a colony of grey-headed flying foxes. Wanting further experience and skills in epidemiology, after her PhD she moved to Canberra to complete the Master of Applied Epidemiology through the Australian National University. Here she was placed at the Department of Health and was contracted to perform rumour surveillance for the World Health Organization in Manila. Missing the animal health component of One Health, Amy then worked for the Department of Agriculture and Water Resources where she conducted risk assessments for the importation of avian and bee commodities as well as expanding export markets for poultry and live honey bees. Amy’s particular interests in epidemiology include study design and study methodology as well as outbreak investigations. On a personal note, the first thing Amy googles when going somewhere new is local wildlife and best breakfast places.